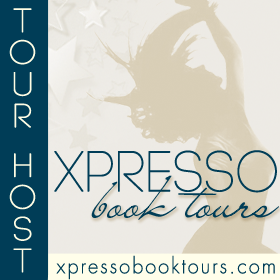 The Bouncing Tigger Reads – Page 208 – Reading is my passion and my joy – come and read with me! It’s cold and snowing so time to get out the really big pan from the bottom of the cupboard and collect all those lovely veggies up and make some soup. You make some soup to add vitamins or you can make soup to add bulk or just as a meal in a pot. Soup is incredibly versatile and I have lots of recipes that I try from time to time and then ring the changes on them. So here are two for you to try. Let me know if you find a nice addition to either! 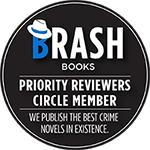 Wash cress. Peel and slice potatoes and onions. Put cress, pots , onions, stock, butter, bayleaf, garlic into large pan. Season. Boil and then simmer until ingredients soft. Liquidise. Return to pan and stir in cream and then heat very gently. Stock – preferably a good herby stock base or add some herbs such as parsley, oregano etc. mixed herbs or French herbs. Hot dogs – I use the vegetarian ones. The amounts of each ingredient are variable but I use a small handful of everything to around 2 pints of stock. You can flavour with tomato ketchup for a variant. Gently fry onion until soft and then add stock and bring to boil. Add the soup mix next and bring to boil. There is likely to be a scum on the top of the pan – carefully scoop this off – try not to take the lentils with it.. until the top of the soup seems clear. Then add the potatoes, salt/pepper and simmer for 1 hour. Test if soup mix and barley cooked. If so, add hot dogs cut into bite sized pieces – 2 per person is plenty and bring to boil again. Simmer for another 10 minutes for vegetarian hot dogs. Serve big ladles of this for lunch! You can miss out the hot dogs and add grated cheese instead. Wild Flowers of London: herbal remedy anyone? In our garden group we frequently have guest speakers. Recently David Bevan came to speak to us twice. His first talk was about the wild flowers of London. David Bevan use the definition of the London Natural History Society, i.e. the area within a 20-mile radius of St. Paul’s to define the area as London for the purposes of considering wild flowers..
London has a very rich and diverse mixture of native ‘weeds’ and ‘escaped exotics’ (such as buddleja – an escapee from China). Surveying has recently started for a new ‘Flora of the London area’ – the original one was published by the London Natural History Society in 1983. This survey identified approximately 2,050 plants – even more than the number in Dorset, which is the richest county in England, botanically. 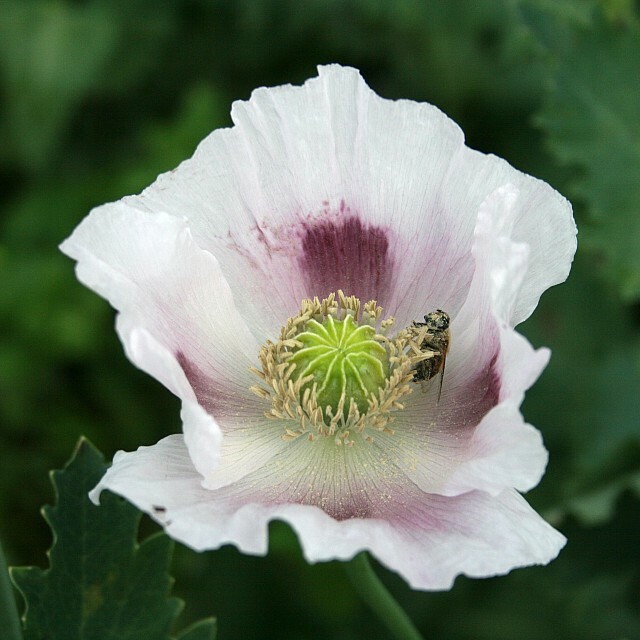 A recent survey of Hyde Park alone identified 287 wild plants. As a great commercial city historically seeds have come in from all over the world. The large number of gardens in London: more than one-fifth of London is occupied by gardens (GLA estimate), and plants tend to escape from gardens. Survival of relict populations: London contains little pockets where rare native plants still survive, whereas in rural areas they tend to get destroyed by hedge-cutting, herbicides etc. London’s very varied geology offers a wide range of habitats, each with its own distinct flora – from chalk to Bagshot Sands (e.g. Hampstead Heath) to London Clay. The ‘heat island’ effect: There are fewer frost days, hotter summer temperatures and about three weeks extra growing time compared with surrounding rural areas. An example of a plant which reflects this effect is the Chinese Mugwort, Artemisia vulgaris, which only flowers in a mild late November. Shown below. Constituents:volatile oil, bitter principle (absinthin), flavonoids, tannin. Sometimes overlooked for more “flashy” herbs in this current day, mugwort is still a favorite of wise women. Mugwort has an affinity for the female reproductive system and is used as a uterine stimulant that can bring on delayed menstruation and help restore a woman’s natural monthly cycle. 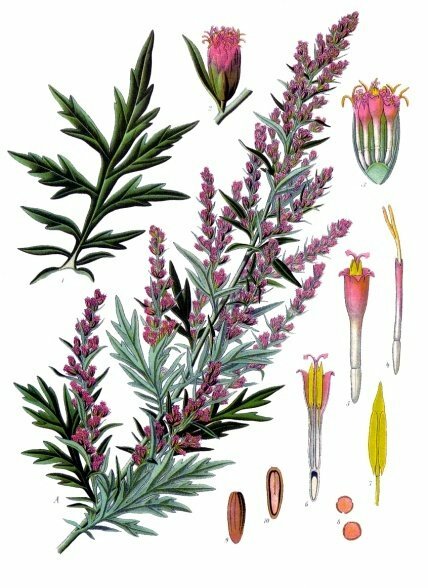 As all the bitter herbs, mugwort is an excellentdigestive stimulant and is quite effective taken before or after heavy meals to alleviate gas and bloating. 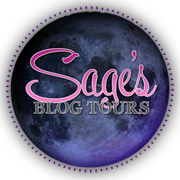 One of the more interesting traditional uses of mugwort is that of a dream herb. 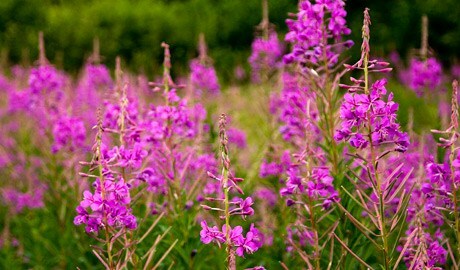 It is often used as one of the main ingredients insleep pillows, and it said to bring the dreamer more lucid dreams. Mugwort is also often used as a smudging (burning) ceremonial herb. It is mildly sedative and useful in calming frayed nerves and easing stress. A combination of agrimony, mugwort and vinegar is an excellent treatment for sciatica or muscular stiffness. Preparation Methods & Dosage: Mugwort can be taken in teas, or tinctures. Often mixed with lemon balm or other sweeter herbs. London Rocket, (Sisymbrium irio) shown growing near Tower Bridge and near St. Paul’s. A Mediterranean plant, it came in via the port and had grown in London since the Great Fire (1666) when it grew in the ashes. It is specific to London, growing nowhere else in the country and reflects the ‘heat island’ effect, nowhere else being warm enough. The little beaded seed pods top the flowers and it has deeply-cut leaves. Since most of the little open sites around Tower Hill have now been built on there are very few sites where it is now found, but it has survived in one small area. It is a plant in the family Brassicaceae and an annual. The leaves are broad and often lobed, while the upper leaves are linear in shape and up to four inches long. The fruit is a long narrow cylindrical silique which stays green when ripe. The younger pods overtop the flowers. When dried the fruit has small red oblong seeds. 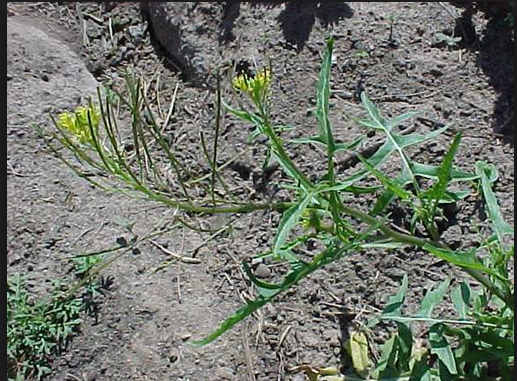 London rocket is used in the Middle East to treat coughs and chest congestion, to relieve rheumatism, to detoxify the liver and spleen, and to reduce swelling and clean wounds. The Bedouin use the leaf of London Rocket as a tobacco substitute. Rosebay Willow Herb Chamaenerion angustifolium and Buddleja around Gloucester Place: The London bomb sites were renowned for being quickly colonised by rosebay willow herb, but have almost all now disappeared. A small bomb-site ‘relic’ remained until recently near Gloucester Place, where this plant still survives and where buddleja (one of the best ‘escapers’) also thrives. 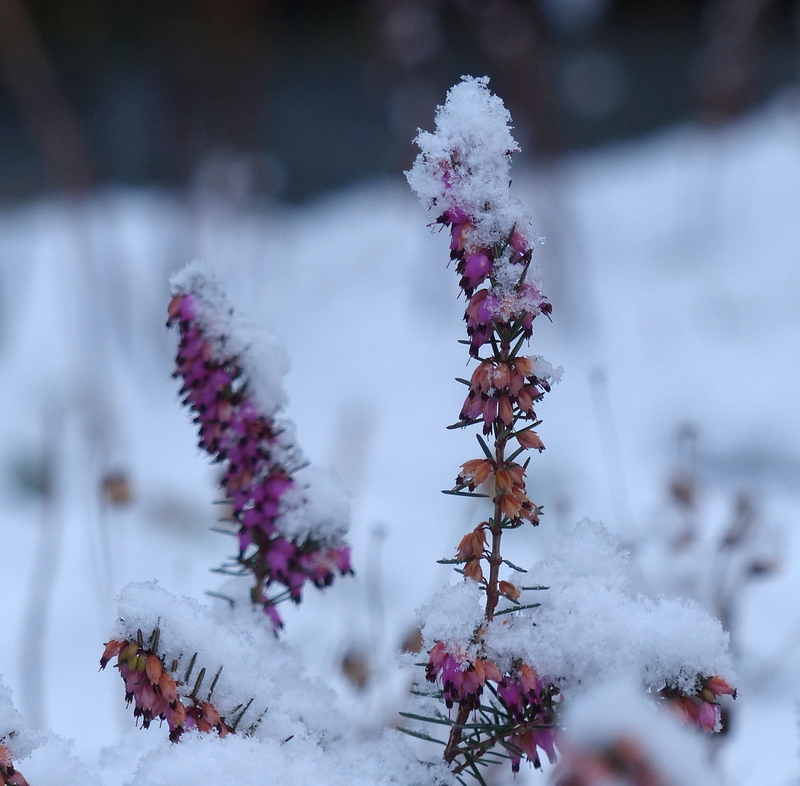 In the Springtime the young shoots and leaves of the rosebay willowherb can be eaten raw, and as they get older need to be steamed or boiled for 10 minutes. Treat the shoots like asparagus. The root can be cooked as a vegetable, added to stews. If you split the stem you can scrape out the sweet pith as a cucumber-like snack, though this can be quite astringent.. The flower stalks when in bud can be snacked upon raw and added to soups for flavour. Medicine: Peel the roots, gently pound them and use as a poultice for skin damage such as burns, sores, swellings, boils and other similar hindrances. The leaves as a tea act as a tonic for the whole system, helping digestion and inflammation, but don’t drink too much because they’re also a laxative (unless you need loosening). 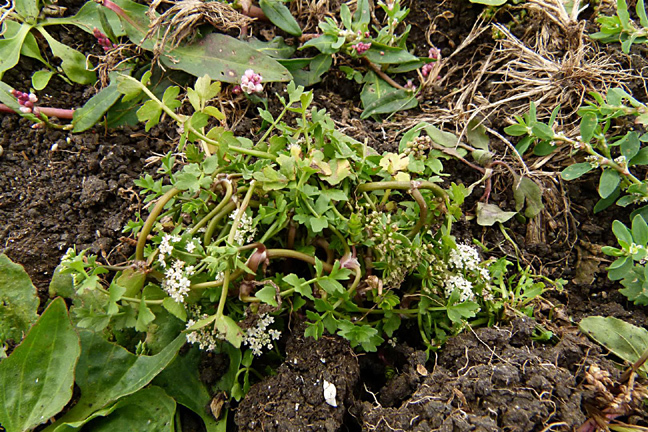 Now the pink variety spreads by seeds and is thus invasive, but the white variety shown above spreads through its root system and thus is not only not invasive but considered a prize plant in a garden. I have some and they are lovely. Buddleja came firstly to France and then to Britain in the 19th.Century from Western China. The last remaining bomb site has now gone, but a slide showed a buddleja growing out of the wall of a building, reminiscent of the cliffs where it thrives in Western China. Although the shrub can be invasive it has the benefit of attracting butterflies and moths, and for this reason is a welcome addition to London’s wildlife. If you go to the flickr site https://www.flickr.com/photos/brize/7653052874/ you will find a selection of ‘feral buddleia’ photos showing how the plant colonises walls, railway cuttings and even roofs and house walls that are less than well kept up. The Sumatran Fleabane: First recorded in London (the first place where it was seen) in the 1980’s. Now it is a dominant plant in much of London and has invaded a large part of Southern England, including Dorset. It has greyish-green leaves and a large number of tiny white flowers. Conyza sumatrensis is an annual herb native to North America, [can be resistant to herbicides]. The Argentinean Fleabane: Conyza_bonariensisAn ‘invadee’ from South America, related to the Sumatran Fleabane..
Opium poppy: loves open spaces. Coltsfoot: a native English plant, a real harbinger of spring, which likes to grow in cracks in concrete and is one of the most successful native plants found in central London. 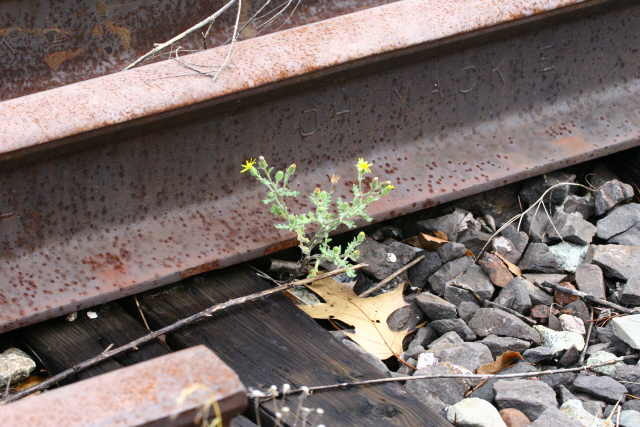 Oxford Ragwort: Its distribution reflects the migration of plant species along railway lines. It grows as a native plant in Italy, especially on the lava-rich soil around Mount Etna. It was introduced in GB around the end of the 18th.Century in the Oxford Botanical Gardens and ‘escaped’ to grow in the stone walls in and around Oxford. When the railway was built in the 19th. Century it found a favourable habitat in the clinker at the side of the railway which ‘reminded’ it of the lava around Mount Etna. Ratstail Fescue: likes infertile, well-drained sites and also found the railway environment favourable. 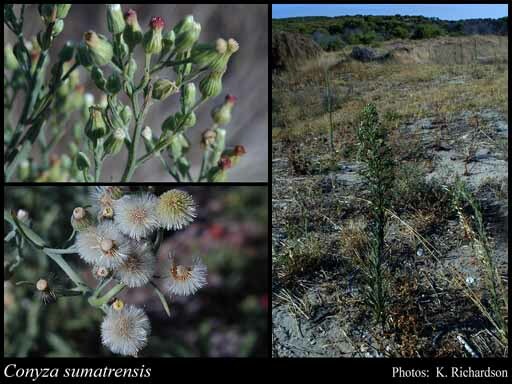 Sticky Groundsel, which has produced a hybrid. ‘Little Robin’ – a geranium purpureum, similar to Herb Robert but with yellow stamens in the purple flowers. This came originally from Cornwall and the south-west, spreading to London along the railway line. Haringey : Railway Fields: David showed examples of numerous wild plants growing and previously growing in a small nature reserve (formerly a coalyard) at Green Lanes, Haringey which he was involved in developing for the London Borough of Haringey some years ago. The splendid gate to Railway Fields depicts many of the wild flowers growing there. Birdsfoot Trefoil (‘Bacon & Eggs’), which needs full sun. This used to grow on the embankments of the Parkland Walk, but has now been squeezed out by stronger wild plants. Common Fleabane: whose nectar-filled flowers are very attractive to butterflies. 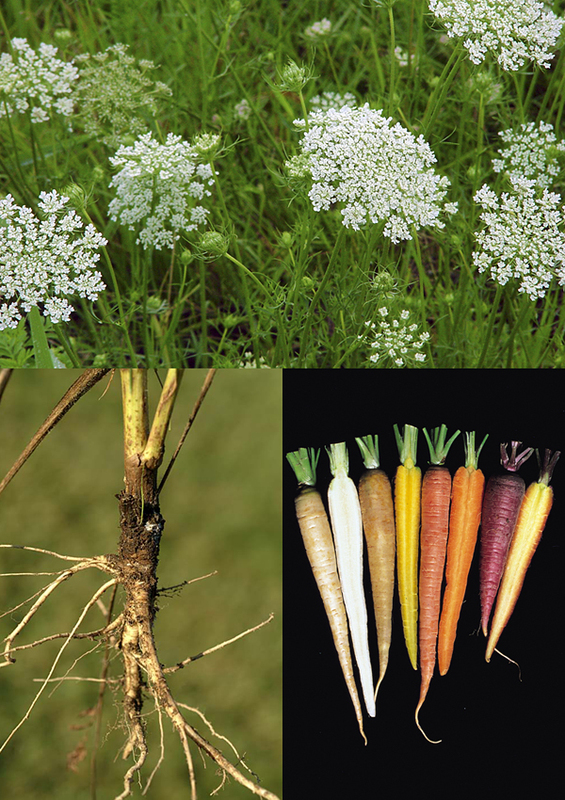 Queen Anne’s Lace (referred to by Shakespeare as ‘keck’), aka the wild carrot, from which modern carrots were derived. Russian Vine – very closely related to Japanese Knotweed. Along the Parkland Walk there is also a hybrid between the Russian vine and Japanese Knotweed which has only been found in a couple of other places – one in the former Czechoslovakia, where it is known as ‘The Railway Yard Knotweed’. Haringey: site alongside the North Circular Road: A site which has now been developed for a Tesco store was previously full of wild plants, including Rosebay Willow Herb, Great Hairy Willow Herb, Mare’s Tail, Goat’s Beard, and Golden Dock, which had previously disappeared, not having been recorded in London since 1924. ‘Tottenham Marsh’ (no longer a marsh): alongside the Walthamstow Reservoir: two foreign exotic plants were shown flourishing in this area: Chinese Mugwort and Greek Dock – and a new-to-science hybrid between Chinese Mugwort and Field Mugwort, belonging to the Wormwood (artemisia) family. Ferns: The Victorians planted many varieties of ferns in the cemeteries. Thread-leaved Crowfoot: previously not seen in London since the 1940’s, but David found it in Highgate Cemetery in the 1990’s. Creeping Marshwort: This used to be more widespread but has disappeared from other parts of the country, and the only other place where it is found now is in a marsh near Oxford. Hampstead Heath: This has been historically the most surveyed botanical site in the world, and there is evidence that the flora has changed a lot since the sixteenth century. Because of the nature of the geology the flora is very ‘heath-like’, including European gorse, birch, and the Long-leaved Sundew. I shall be writing another post later this year which looks at the importance of some of our gardens and plants wild or otherwise and wildlife in London.